Head Prefects – Isla MacKenzie and Luke Gorman have been appointed Head Girl and Boy respectively for the coming session. Gemma McLean and Donald MacKenzie will assist as Deputies. We all wish them luck in these challenging roles! Pupil Success in Highland Dance – Eilidh Owens has become a Premier Dancer. On 1st June she passed, Highly Commended, the British Association of Teachers of Dance Blue Riband exam in Highland Dance. She received a Highly Commended in the Sailors Hornpipe as well and is on her way to qualifying as a teacher of Highland Dance. Well done! Pupil Success in Gaelic Speaking Competition – Four of our pupils have done very well in an annual Gaelic speaking competition. The competition organised by the Gaelic Society of London involves pupils from all over Scotland. Ceitidh Alice Hulme won the Senior Fluent Speakers’ competition with Ainslie Mackenzie receiving a merit. Rachel Mackenzie was the joint winner of the Senior Learners’ competition. Margaret Matheson gained a merit. Pupil Success in Open University Course – Mairi Wyatt, S6 has passed her OU Introduction to Law in Contemporary Scotland course. She has also completed, as part of her S6 studies, a TEFL (Teaching English as a Foreign Language) qualification. In addition she trained as an adviser with Citizen’s Advice Bureau and has spent time with the Alness based CAB Housing Project where she has an opportunity for further work experience. Mairi is planning to start studying Law after the summer at Edinburgh University. Senior Runners Up – Ross Wotherspoon, Sofie Banister & Siobhan Vickerstaff. Well done all! Click on the photo below to see more of the day. 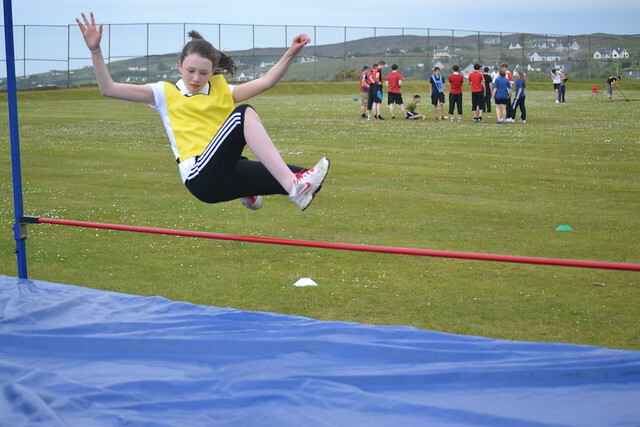 Ross-Sutherland Athletics Championships – A team of twenty pupils travelled with Mr. Bowker and Mrs. Johnston to the Ross-Sutherland Athletics Championships in Inverness on Wednesday 19th June. Our athletes faced tough opposition from the other schools, but they all tried hard. The best results of the day were 1st place for Connor Forbes in long jump with an impressive distance of 4.13m, and 2nd places for Joe Smith in hurdles and javelin, Hannah Wood in hurdles, Roddy Macrae in high jump and Lewis Campbell in discus. Connor Moore was 3rd in his shot putt competition; Iain Nelson was 3rd in the 100m. The junior boys relay team also finished third in a very close finish. Well done to all who competed! Staff Success – Congratulations to Andy Bowker for passing his Summer Mountain Leader Award. 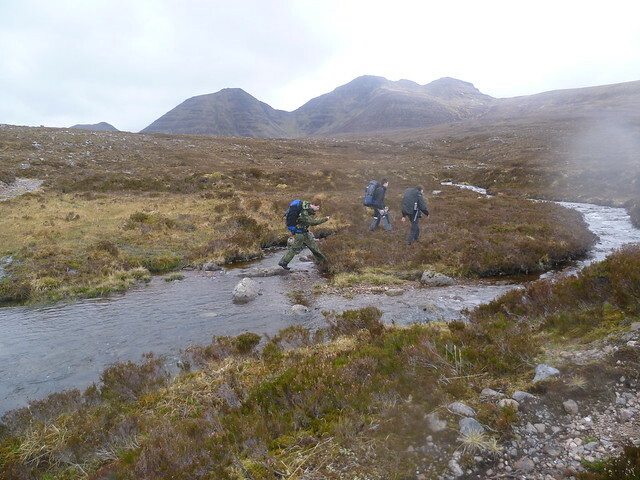 Hospitality Visit – On Friday 7th June fourteen pupils from S2 and S3 Hospitality Skills for Work had a visit to the Beinn Eighe Nature Reserve and The Torridon Hotel. The trip, organised by Douglas Gibson was a great chance for pupils to experience employment opportunities in the Tourism and Hospitality Industry. The pupils got a tour of the Deer Larder and poly tunnel at the Nature Reserve and talked with both Pete Crichton and Eoighan Maclean about the type of work that is carried out on the reserve. The boys enjoyed looking at (and sitting on) the farm machinery stored on site. Sydney Tippett (S3) said, ” It was great to see the farming machinery, it made me think more about a career in that field of work!” We were welcomed at The Torridon by Rohaise Rose-Bristow who talked to the pupils about life running the hotel and the various positions and opportunities offered at the beautiful 4-star establishment. The pupils enjoyed a delicious lunch and had an extensive tour of the hotel and grounds and had a fantastic experience. Ashleigh Elder of S3 said “It was amazing to see people in the Hospitality industry at their best and they all made us feel really welcome”. Malawi Partnership – Bethan Townsend, S4, reports, “On Friday 14th June nine Gairloch High School pupils went to Kinlocheil for a team building activity. We stayed for one night before returning home late Saturday afternoon. As soon as we got to Fort William our first task was to go to Morrisons and get everything we needed for 13 people for two days. Our budget was £65 and after scaling the shop for the best offers and ‘Morrison’s Own’ products we totalled at just over £51. We got to the bunkhouse and the first thing we did was talk about the profiles we are sending over to Malawi this summer. We hope our hosts will enjoy reading about us before we arrive in October. After comparing and sharing ideas we went out for a walk at Glennfinnan and found a geo-cache. We made our dinner, cooking spaghetti bolognese with quorn mince as we have a vegetarian in our group! We were up at half seven on Saturday morning to have breakfast and talk about the projects we wanted to do while we are in Malawi. 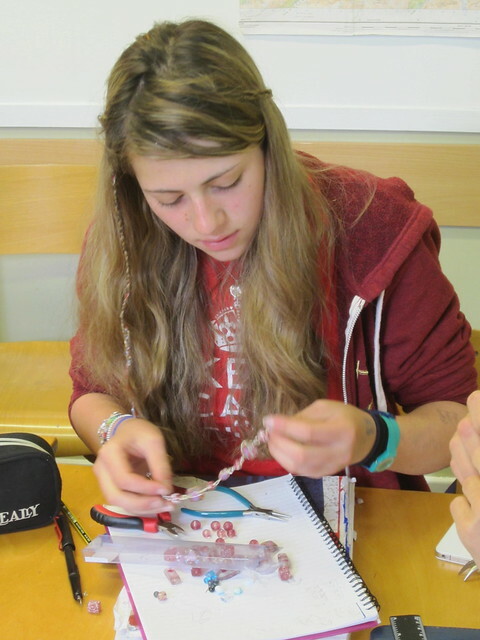 These include music, dance, John Muir Award, David Livingstone and craft-making. Click on the photo of Sofie to see more of the weekend. Visit our Facebook page here or read about us on the school website. 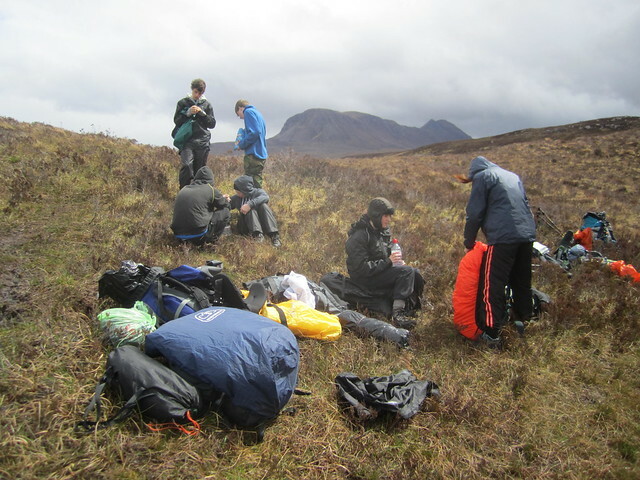 Duke of Edinburgh’s Expeditions – Congratulations to S3 pupils for surviving the midges at Achneigie on Monday17th June and arriving safely at Eilean Daroch the following day. We hope many of them will complete the rest of their Bronze award in the very near future. Thanks to Mr. Bob Widdows for assessing the group. Staff Changes – After the holiday Mrs. Whall will return from maternity leave. Dr. Miller is taking up a teaching post in Lochgilphead. Dr. Miller has become much respected in the time he has been with us and will be missed by all. We wish him all the best for the future! Nethybridge 2013 – Breah and Eilidh wrote this report for the Gairloch Times on return from Nethy – “When we got there on Monday we started the week with orienteering. There were loads of different checkpoints around Glenmore forest. The winners were David and Gregor with 220 points. After dinner, Susan organized some games for us to play. The teachers joined in, they were very good and we found out that Dr. Caley cheated – but she wouldn’t admit it! For supper we had hot chocolate and doughnuts. 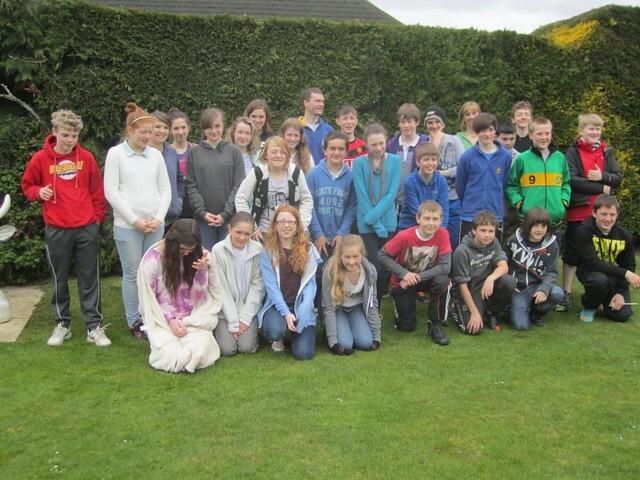 During the week we: Mountain biked, rock climbed, walked low and high, went to Landmark, played water sports on Loch Morlich, had a BBQ, played football, took part in a quiz and a dorm inspection, went swimming and visited the park in Dingwall, played pool and basketball as well as orienteering in Glenmore Forest. S1 at Nethy. There are many more photos on the website! The Travelling Gallery – featuring the ‘Turquoise Heid’ Exhibition, visited Gairloch High School on Monday 20th May, having previously been in Thurso. Former pupil, Alison Chisholm, the Curator of the Travelling Gallery, presented the work to all pupils from S1-S3. She talked them through the individual pieces, encouraging the pupils to discuss and comment on the work. Younger pupils from the Primary School also benefited from this experience, visiting the bus in the afternoon. The Exhibition showcased the work of 9 contemporary artists and consisted of a wide range of artwork in various media from photography, animation, sculpture, drawing and film. One of the artists whose work was on show is one of the most up-and-coming artists the Travelling Gallery has been associated with to date. 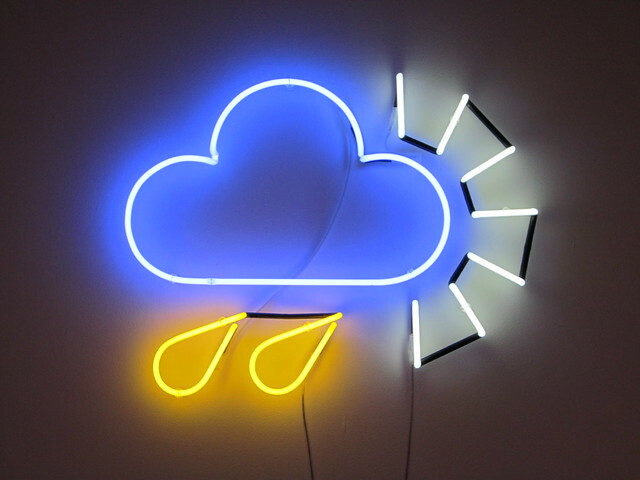 David Shrigley is one of the short listed artists nominated for this year’s Turner Prize. All in all this was a most beneficial experience for all concerned and we hope that the Travelling Gallery will visit Gairloch again next year with their next Exhibition. Thanks to Mrs. Browne for organizing this visit. Click on the photo above to see more images. Duke of Edinburgh’s Award – Former pupil Calum Milner has completed his Gold Award. He has been invited along with his family to attend a presentation on July 4th 2013 at Holyrood Palace in Edinburgh. Well done to Calum for achieving this top level of the Award. His name will be added to the school list of those who gained Gold. 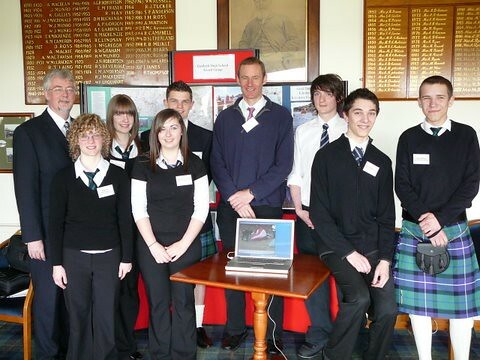 Calum (right in the photo above) was one of our pupils invited to meet HRH Prince Edward back in April 2008 at Tain Royal Golf Course. This event was arranged to showcase Highland Pupils who were involved in the DofE Award. Click on the photo to see more images from that event or here to see images from other DofE adventures at Gairloch. Further success for former pupils – Ellie Richardson has been pursuing a career in cycling. 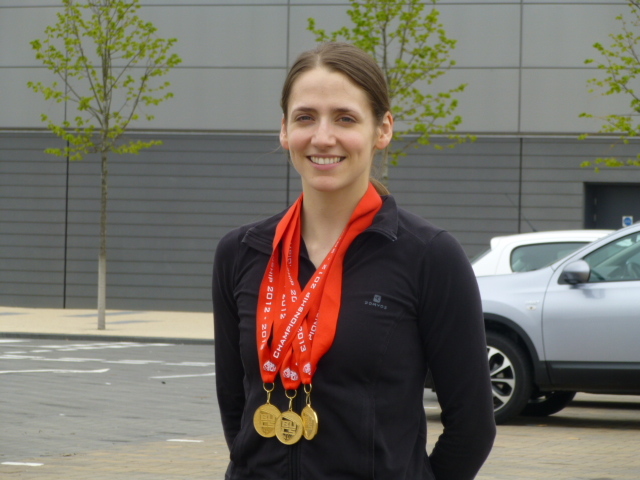 She recently took part in the British University Track Cycling Championships and won 3 gold medals. Events were the Sprint, the Team Sprint and the 500m time trial. Ellie also broke the long-standing University 500m time trial record set by Victoria Pendleton of 36.85secs. She rode 36.17 secs – not only a new record but also a personal best. We think this is a new Scottish National record but Ellie is waiting conformation of this further success. Ellie has also been invited to her first international event taking place in Belgium this month. Good luck in that Ellie! P7 Transition – Last week Primary 7 pupils came up to secondary for the first part of their transition. Staff have been sharing information and planning for several weeks about the upcoming move of pupils in August. Normally at this time of the year we invite the P7’s into High School for an Icebreaker Day (Thu 24th May) where we cover some issues of emotional intelligence and spend time in Science. On Friday 25th May) primary pupils took part in our Expressive Arts event where they work in Music, PE and Art. On Thursday 6th June P7 pupils will return to follow a normal timetable for two days. This will give them a taster of what life in school will be like after the summer holiday. P7 parents were invited to school on the evening of 30th May.